Improve the standard of newborn care at Faculty of Medicine Siriraj Hospital comparable to that of developed countries. Improve the standard of newborn care in Thailand through various efforts, e.g. inventing low-cost medical devices, writing textbooks and books, producing CAI, organzing free workshop regarding basic newborn care and mechanical ventilation for neonatal health personnel throughout the nation, donating medical devices to needy hospitals throughout the Kingdom.Implement Baby Friendly Hospital Initiative and Family-Center Care into the NICU settings since 1994 that results in the improvement of quality of newborn care in the country. Jirapaet K, Jirapaet V, Sritipsukho S. Safety of initiating early enteral feeding with slow volume advancement in preterm infants. J Med Assoc Thai 2010; 93 (10):1177-1187. Jirapaet K , Jirapaet V. Assessment of cereal-grain warming pad as a heat source for newborn transport. J Med Assoc Thai 2005; 88(Suppl 8): S203-10. Jirapaet K, Kiatchooskul P, Kolatat T, Srisuparb P. A comparison of high-frequency flow interruption ventilation and conventional treatment in persistent pulmonary hypertension of the newborn. Respiratory Care 2001; 46(6):586-94. Jirapaet K, Kiatchooskul P, R s. Response to surfactant in RDS infants with and without PDA. Siriraj Hospital Gazette 1998;50:269-281. Jirapaet K, Jirapaet V. The efficacy of Siriraj phototherapy lamp. Thai Journal of Pediatrics, 1997;36:284-91. Jirapaet K, Jirapaet V. Measurements of the irradiance and the effect on environment temperature of the Siriraj Phototherapy Lamp. Siriraj Hospital Gazette, 1997:49:323-9. Jirapaet K. The effect of vertical pulsating stimulation on apnea of prematurity. Journal of the Thai Medical Association 1993;76:319-326. Jirapaet K, Leowattana W. Sterility and storage period of placental blood from neonates delivered by cesarean section. Biology of the Neonate 1996;70:184. Jirapaet K, Jirapaet V. The relationship between O2 flow rate delivered by nasal cannula and the FiO2 in newborn infant. Siriraj Hospital Gazette 1994.;46:671-678. Jirapaet K, Keyulvichien S, Jirapaet V. Effects of lying position on oxygen saturation and respiratory status in postextubated preterm infants. Siriraj Hospital Gazette, 1994;46:515-521. Jirapaet K, Sermsook P, Leowattana W. The efficiency of Siriraj blood warmer. Siriraj Hospital Gazette, 1994;46:263-269. Jirapaet K, Kolatat T, Chavalidthamrong P, Boonyaprakob U. High frequency flow interruption in the rescue of preterm infants with severe RDS. Journal of the Thai Medical Association 1992; 75:631-7. Jirapaet K, Jirapaet V. Rewarming hypothermic newborn infants with Siriraj radiant warmer-model 2. Siriraj Hospital Gazette 1991; 43:299-305. Jirapaet K. Kolatat T, Chavalidthamrong P, Boonyaprakob U. Tolazoline in persistent pulmonary hypertension of the newborn. Siriraj Hospital Gazette 1986; 38: 465-71. Jirapaet K. Persistent pulmonary Hypertension of the newborn: 13 cases report. Bulletin of the Pediatric Association of Thailand Bangkok: Department of Pediatrics, Siriraj Hospital 1986; 7: 68-9. Jirapaet K. Modification of equipment for neonates (Part 2). Thai Medical Council Bulletin 1986;15:463-6. Jirapaet K. Modification of equipment for neonates (part 3). Thai Medical Council Bulletin 1986;15:489-4. Jirapaet K. Persistent pulmonary hypertension of the newborn: 13 cases report. Bulletin of the Pediatric Association of Thailand. Bangkok: Department of Pediatrics, Siriraj Hospital 1986; 7: 68-9.
infection in Siriraj Hospital 1981: 10 cases' report. Proceeding of the Annual medical conference 1982. Bangkok: Siriraj Hospital. 1982: 68. Jirapaet V, Jirapaet K, Sopajaree C. The nurse�s experience of barriers to safe practice in the neonatal intensive care unit in Thailand. JOGNN 2006; 35:746-754. Jirapaet V, Jirapaet K. Comparisons of tympanic membrane, abdominal skin, axillary, and rectal temperature measurements in term and preterm neonates. Journal of Nursing and Health Sciences (Japan), 2000; 2(1): 1-8. Jirapaet K. Thai healthy newborns have a higher risk. J Med Assoc Thai 2005;88: 1314-8. Jirapaet K. Advance in neonatal mechanical ventilation. Thai Journal of Pediatrics, 1997;3:11-15. Jirapaet K. High frequency ventilation: advanced technology in treating respiratory failure in newborn infants. Thai Journal of Pediatrics 1992; 31: 1-10. Jirapaet K. Neonatal cold injury. Siriraj Hospital Gazette 1991; 43: 577-87. Jirapaet K. Persistent pulmonary hypertension of the newborn. Thai Medical Council Bulletin 1988; 17; 755-64. Jirapaet K. Modification of equipment for neonates (Part 2). Thai Medical Council Bulletin 1986; 15: 463-6. Jirapaet K. Modification of equipment for neonates (part 3). Thai Medical Council Bulletin 1986; 15: 489-4. Jirapaet K, Jirapaet V. Atlas of normal findings and common problems in neonates. Bangkok: Dan Sutha Press, 2012. Jirapaet V, Jirapaet K. Patient safety in critical care. Bangkok: Dan Sutha Press, 2007. Jirapaet K, Jirapaet V. Newborn health assessment. Bangkok : Dan Sutha Press, 2005. Jirapaet K, Jirapaet V. Principle of basic newborn care. Bangkok :Venteran Welfare Authority Press, 2002. Jirapaet K. Advanced technology in neonatal mechanical ventilation: synchronized ventilation and pressure support ventilation. Union Creation, 2001. Jirapaet K. Advance in neonatal mechanical ventilation (3rd ed.). Bangkok : Thai Charoen Press, 2000. Jirapaet K. Normal findings in neonates (3rd ed.). Bangkok : Ad-Team Creation, 1999. Jirapaet K. 32 problems in neonates. Bangkok : Ad-Team Creation, 1999. Jirapaet K. Use of breastmilk in sick neonates and preterm infants. Bangkok : Union Creation, 1999. Jirapaet K. Flow synchronized ventilation. Bangkok: Cho Press, 1999. Jirapaet K. Feeding in preterm infants and the sick neonates. Bangkok: Nestle Products, 1999. Jirapaet K. Normal findings in newborn infants. Bangkok: Wyeth-Ayerst, 1998. Jirapaet K. Advance in neonatal mechanical ventilation. Bangkok: Thai Charoen Press, 1996. Jirapaet K. Neonatal respiratory care. Bangkok: Roen-Kaew Print, 1993. Jirapaet K. Breastfeeding: Psychological aspect and mother-infant bonding. In: Bovornkiratikajorn P, ed. Breastfeeding. Bangkok: Pediatricians Association of Thailand, 2005:37-42. Jirapaet K. Synchronized ventilation. In: Supapanachat S, ed. Best practice in neonatal care. Bangkok: Tana Press, 2005:1-17. Jirapaet K. Neonatal mechanical ventilation. In: Supapanachat S, ed. Best practice in neonatal care. Bangkok: Tana Press, 2005:18-45. Jirapaet K. Update Neonatology. In: Vichanon.P, ed. Intensive Review in Pediatrics. Bangkok: B Yon Enterprise, 2004:217-224. Jirapaet K. Newborn warming devices. In: Supapanachat S, ed. Neonatal critical care. Bangkok: Tana Press, 2004:1-10. Jirapaet K. Neonatal seizure. In: Supapanachat S, ed. Neonatal critical care. Bangkok: Tana Press, 2004: 67-77. Jirapaet K. Significance of urine monitoring. In: Supapanachat S, ed. Neonatal critical care. Bangkok: Tana Press, 2004: 187-195. Jirapaet K. Infant transport. In: Supapanachat S, ed. Neonatal critical care. Bangkok: Tana Press, 2004:196-202. Jirapaet K. High-risk neonates. Tuchinda M, Suvattee V, Wongjirat A, Chavalidthamrong P, Jirapinyo P, eds. Pediatrics. Bangkok:Roen-Kaew Print, 1997: 228-36. Jirapaet K. Perinatal asphyxia. Tuchinda M, Suvattee V, Wongjirat A, Chavalidthamrong P, Jirapinyo P, eds. Pediatrics. Bangkok:Roen-Kaew Print, 1997: 246-53. Jirapaet K. Birth injury. Tuchinda M, Suvattee V, Wongjirat A, Chavalidthamrong P, Jirapinyo P, eds. Pediatrics. Bangkok:Roen-Kaew Print, 1997: 254-7. Jirapaet K. Feeding in newborn. Tuchinda M, Suvattee V, Wongjirat A, Chavalidthamrong P, Jirapinyo P, eds. Pediatrics. Bangkok:Roen-Kaew Print, 1997: 489-92. Jirapaet K. Fluid and electrolyte management in newborn. Tuchinda M, Suvattee V, Wongjirat A, Chavalidthamrong P, Jirapinyo P, eds. Pediatrics. Bangkok: Roen-Kaew Print, 1997: 424-7. Jirapaet K. Hematological problems in the newborn. Tuchinda M, Suvattee V, Wongjirat A, Chavalidthamrong P, Jirapinyo P, eds. Pediatrics. Bangkok:Roen-KaewPrint, 1997: 402-8. Jirapaet K. Hyperbilirubinemia. Tuchinda M, Suvattee V, Wongjirat A, Chavalidthamrong P, Jirapinyo P, eds. Pediatrics. Bangkok:Roen-Kaew Print, 1997. Jirapaet K. Neonatal transport. Tuchinda M, Suvattee V, Wongjirat A, Chavalidthamrong P, Jirapinyo P, eds. Pediatrics. Bangkok:Roen-Kaew Print, 1997:264-5. Jirapaet K. Patent ductus arteriosus. Tuchinda M, Suvattee V, Wongjirat A, Chavalidthamrong P, Jirapinyo P, eds. Pediatrics. Bangkok:Roen-Kaew Print, 1997:387-9. Jirapaet K. Temperature control in newborn. Tuchinda M, Suvattee V, Wongjirat A, Chavalidthamrong P, Jirapinyo P, eds. Pediatrics. Bangkok:Roen-Kaew Print, 1997: 258-63. Jirapaet K. Hematological emergency in neonates. In: Suvattee V, Wongjirat A, eds. Pediatric emergency. 2nd ed. Bangkok: Chuan Pim 1993: 30-5. Jirapaet K. Respiratory distress in neonates. In: Suvattee V, Wongjirat A, eds. Pediatric emergency. 2nd ed. Bangkok: Chaun-Pim, 1993: 28-9. Jirapaet K. Persistent pulmonary hypertension of the newborn. In: Siriboon P, Boonyaprakob U, eds. Neonatology. 2nd ed. Bangkok: Roen-Kaew Press, 1990: 116-25. Jirapaet K. Persistent pulmonary hypertension of the newborn. In: Hotrakit S, ed. Neonatology. Bangkok: Ramathibodi Press, 1990: 50-65. Jirapaet K. Meconium aspiration syndrome. In: Hotrakit S, ed. Neonatology. Bangkok:Ramathibodi Press, 1990: 41-9. Jirapaet K. Care of hyaline membrane disease, meconium aspiration syndrome and persistent fetal circulation. Proceeding of the 27th Annual Medical conference of Siriraj Hospital. Bangkok: Siriraj Hospital. 1985: 419-29. Jirapaet K. Newborn resuscitation and neonatal cold injury. Seminar in Pediatrics for general practitioners. Khon-Ken: Faculty of Medicine, Khon-Ken University. 1985; 79-91. Jirapaet K. Newborn respiratory care. In: Chittinan S, Vechapat C, Boonyaprakob U, eds. Guideline on management of instruments in pediatric intensive care unit. Bangkok : Siriraj Hospital. 1986: 160-72. Jirapaet K. Perinatal asphyxia. In: Vichitsukon K, Sayawin D, eds. Newborn nursing care. Bangkok: Mac Press, 1985: 202-8. Jirapaet K. Common drug uses in newborn. In: Vichitsukon K, Sayawin D, eds. Newborn nursing care. Bangkok: Mac Press, 1985: 288-95. 21.Jirapaet K. Apnea of prematurity. In: Vichitsukon K, Sayawin D, eds. Newborn nursing care. Bangkok: Mac Press, 1985: 170-81.
bilirubin color scale. Program and abstracts. The 13th Asian Pacific Congress of Pediatrics and 3rd Asian Pacific Congress of Pediatric Nursing. Shanghai, China, October 14-18, 2009. Jirapaet K, Jirapaet V. Human milk for preterm infants: Initiating early enteral feeding. Conference Syllabus,2006 Conference and Annual Meeting. Philadelphia: International Lactation Consultant Association. 2006:127-32. Jirapaet K. Maternal Section, Hospital University of Geneva, Switzerland. Feeding in preterm infants: Current status in Thailand. March 3, 2010. Jirapaet K. Tokyo Women�s Medical University, Japan. Use of breast milk in preterm infants. March 4, 2009. 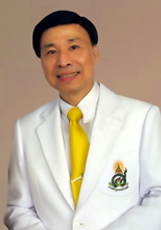 Jirapaet K. Nutritional management of the premature infant: Current practice in Thailand. Wyeth Paediatric Nutrition Symposium. Four Season Bangkok, Thailand. November 21-22, 2008. Sangtawesin V, Khorana M, Nuntnarumit P, Kiatchoosakun P, Jirapaet K, Horpaopan S. Development of practice guidelines on patient safety in NICU: a collaborative project. Program and abstracts. The 12th ASEAN Pediatrics Federation Conference �impact of child care on adult diseases� 2004:169.